"It was literally an exercise of about 20 minutes because it just came up, it happened, we went with it, and there you go," new Danger Close studio head Greg Goodrich told us in an interview last night, explaining how he and two of his colleagues came up with the new name of their studio (formerly EA LA). Late last evening, EA revealed that its Los Angeles-based development house would be rebranded. The studio is now known as Danger Close, which Goodrich told Joystiq is indicative of the reborn studio's direction. "I think the core of what we're doing right now and the sort of DNA of this team and this studio is the first-person shooter genre. 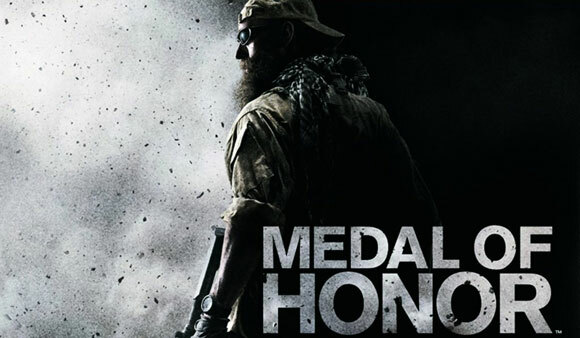 I can't foresee us doing anything other than that in the near future, and specifically Medal of Honor." Goodrich did add, however, that his hands aren't tied creatively in terms of what the studio is allowed to do -- be it first-person shooter or whatever else it might have in store. That said, Goodrich wasn't speaking about anything other than Medal of Honor, and he remained coy about his studio's involvement with the game post-release. He's proud of the mutliplayer component built by DICE, but he's not ruling out Danger Close getting involved in multiplayer support, say through DLC. "Personally, I think that would be something that the guys here would be very excited about doing in the future," he offered. "But, you know, we're gonna see how this one works out and see how the fans accept it, and make those decisions at a later time." Goodrich is content to leave his studio's future plans a mystery. "That's also a part of creating your own identity and starting your own future, and throwing up a website that says 'Now hiring,'" he teased. "There's intent there." "We wanted our own identity," Goodrich says of the decision to come up with an original studio name, "something that we could all be passionate and proud of moving forward. It was kinda funny, when we started throwing things around -- a lot of time there's a committee and there are outsiders that have bearing on what a company name will be with websites and domain names and all these things. So it can be kind of a daunting task to actually have to name a studio." "But one afternoon we were going through a little exercise in our office, and there were three of us just sitting around a computer throwing things at the wall to see what stuck," Goodrich recounts. Rich Farley, the senior creative director, was playing the new Medal of Honor at the time, and all of a sudden one of the characters -- Jim Patterson, the grandson of Lieutenant Jimmy Patterson from the very first Medal of Honor -- yelled out in-game, "Danger close! We've got danger close fire!" Then it all clicked. "We basically said, 'Hey look, I think Jimmy just named our studio.'" Aside from the new name, the Danger Close staff members are also distinguished by their ... beards. The team has been carrying on an internal "beard-a-thon" challenge for some time now, originally growing them for a trip to Afghanistan (which was ultimately canceled), but "we decided to keep growing them," Goodrich explains. "Greg Owens, our marketing manager on this, he said, 'Hey, let's do a beard-a-thon for the Navy Seal Warrior Fund.' And so, every week that we go without shaving until this product ships we raise more money and, when we're all done, all the proceeds will go to SealFund.org, which gives back to all the Navy Seal families and dependents." "And the cool thing about it is now," Goodrich continues, "when my wife or someone asks when I'm gonna shave it, I can answer that I'm doing it for a good cause."